“Dear Mr. Edge,” a show of three sculptures from Los Angeles artist Doug Edge takes its title from a package of “thank-you” letters that the artist received from his son’s third grade class in June of 1977. Noted in the letters as “…the ladder piece,” the over six-foot tall sculpture Entrance to Heaven or Hell, (1976) seems quite a weighty existential construct for a bunch of very polite third graders. In multi-faceted installations from Venice based Edge, worldly and spiritual issues are placed before us utilizing mesmerizing constructions of motors and mirrors. 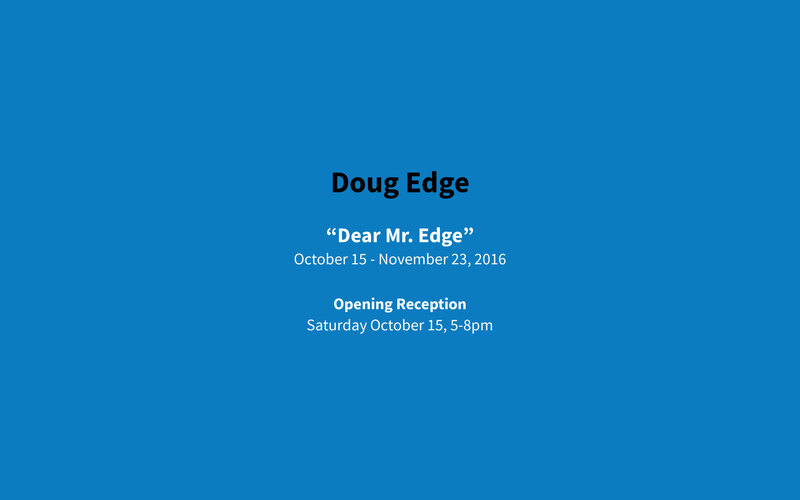 C. Nichols Project is pleased to present sculptures from the 1970’s and 1990’s in “Dear Mr. Edge.” Doug Edge has had a lengthy career in the Los Angeles art community. Part of the inaugural faculty of CalArts in 1969, Edge came to the West Coast from Wisconsin. The artist has remained an integral part of the art scene since then, incorporating painting, sculpture and performance into his practice. Edge has shown with prominent Los Angeles galleries Cirrus, Earl Mc Grath, William Turner and New York’s Gracie Mansion amongst others around the globe.